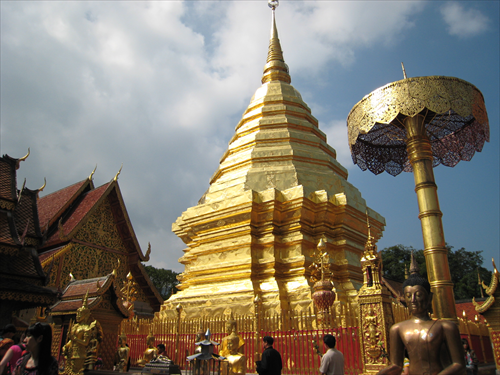 Doi Suthep is a mountain, about 15 kilometers from Chiang Mai, with on it Wat Prathat Doi Suthep, a Holy Buddhist Temple. Every Temple with a name starting with Wat Prathat contains Buddha relics and therefore is Holy to Buddhists. 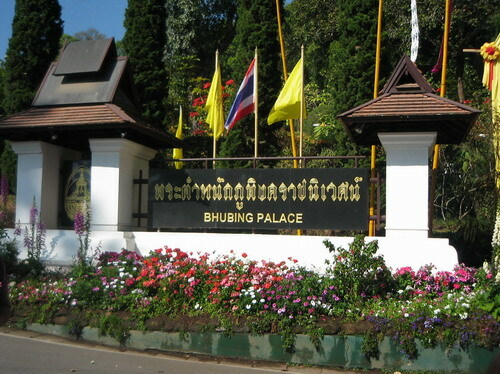 Phuping Palace was built in 1962 and the compound is normally open to public when the King and/or the Queen are not there.It is located on the mountain, about 14-15 kms from Chiangmai city. Visitors can take a trip to Doi Suthep, where there is a beautiful temple on the top of the mountain with a very long,staircases, and then visit Phuping Palace and Doi Pui. Arrive Chiang-Mai Airport, our driver meet & asst. with warm welcome "Cold drinking water + Cold towel + free local sim-card" on arrival, Then transfer to check in at hotel. Phuping Palace was built in 1962 and the compound is normally open to public when the King and/or the Queen are not there.It is located on the mountain, about 14-15 kms from Chiangmai city. Visitors can take a trip to Doi Suthep, where there is a beautiful temple on the top of the mountain with a very long, staircases, and then visit Phuping Palace and Doi Pui. 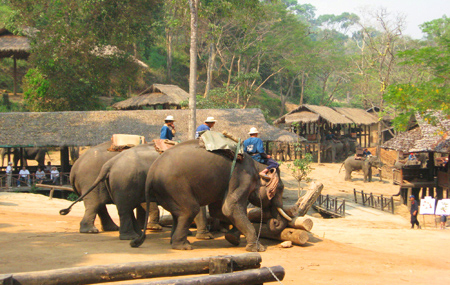 A short pleasant trip out into the country-side.In lush jungle north of the city, a demonstration of how talented and trained elephants are used in the timber industry is held. Using their tusks, powerful trunks and feet, they push, pull and roll logs in unison. This is a great opportunity for you to experience and elephant ride. (The ride is optional and extra). 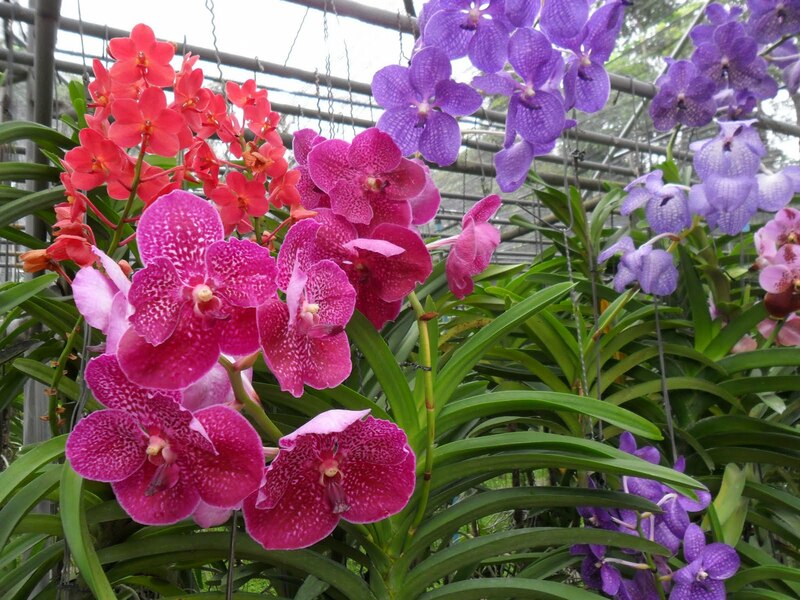 On returning, stop to visit an orchid farm filled with magnificent orchid blooms in a dazzling array of colors. 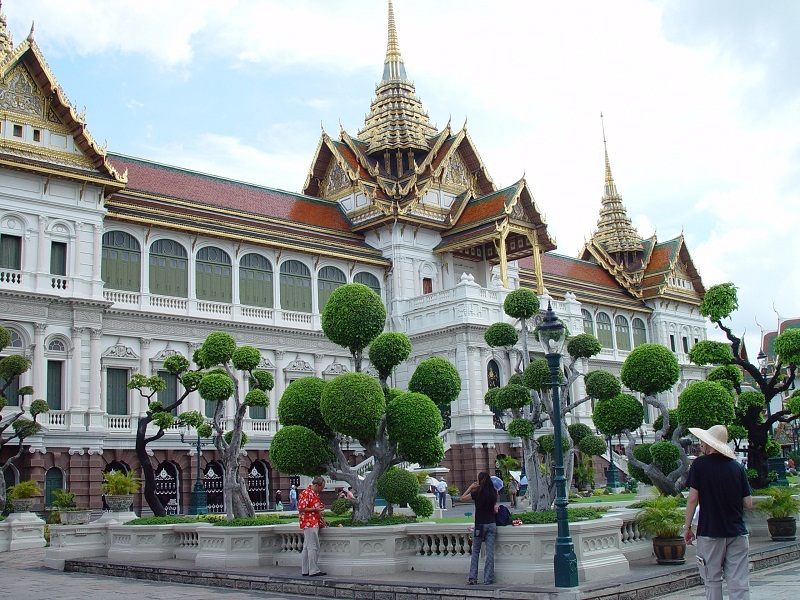 The Grand Palace is a truly amazing architectural construction. It is a large complex covering an area of 218,000 square meters which was built in the early years of Chakkri dynasty. The complex consists of four large groups of building serving different royal functions. The first one is the Wat Pra Keaw a royal religious temple. The second is the royal ceremonial complex containing the Chakri Maha Prasat Hall. The third is the royal residence and guest residence, the Borom Phiman Mansion. This is a private zone not a tourist area. The forth is the staff and governmental offices.There are plenty of tour guides to give visitors historical aspects of this beautiful palace. 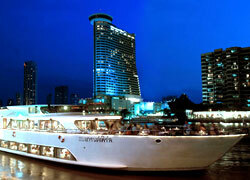 5 Nights hotel accommodation as the above mentioned.